***UPDATE: Long Race 2017 (09/09/17) has been cancelled. St. Michael’s Rowing Club are delighted to announce that we will be hosting the ‘Long Race 2017’ on Saturday 9th September 2017. All East Coast clubs are hereby invited to enter crews (adult only), with the last date for entries of Monday 4th September. The 2017 course follows an inshore course of the same length, but still begins and ends in Dun Laoghaire Harbour. This exciting new course also ties in with Dun Laoghaire Harbour Bicentenary , with which the club is proud to be associated. 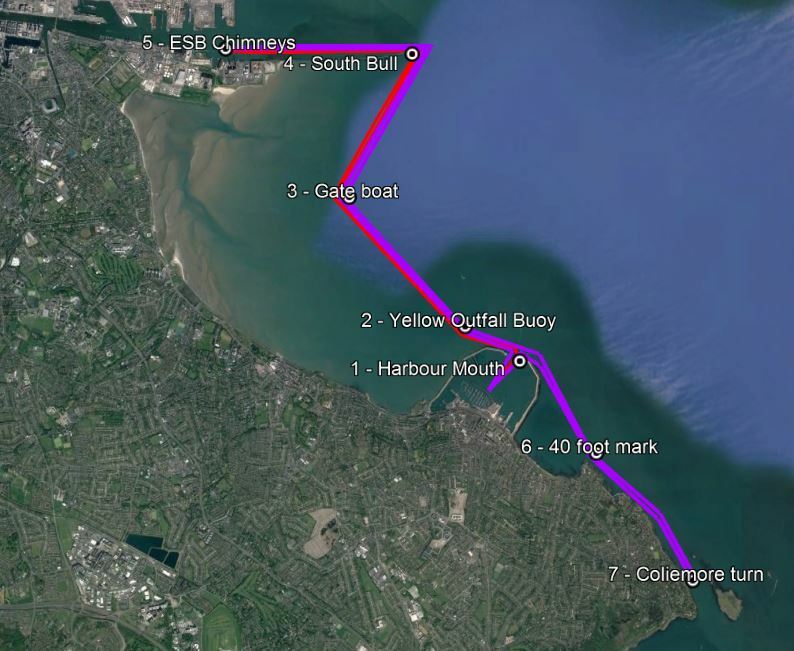 The course is 27km long (purple line below), with an option of a ‘short course’ of 18km (red line below), which runs parallel to the long course, but without the section east of Dun Laoghaire Harbour – i.e DL > Poolbeg > ESB > Poolbeg > DL. It is recommended that only strong and experienced crews enter the long course. Winning times on the previous Kish course were in the order of 3hrs, with times of 4.5hrs+ being recorded for the back of the field. 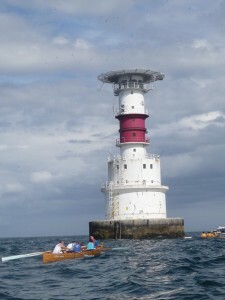 Both racees will start on Saturday 9th September at 9.00am sharp. Boats may launch from the Coal Harbour Slip in Dun Laoghaire. For any club wishing to enter crews, please get in touch via the club email address (info [at] websiteaddress.com) or via http://www.dunlaoghairerowing.com/contact-us/ . Following this enquiry you will be issued with the password for this Cox’s Instructions and Crew Entries Page which also contains the cox’s instruction pack and safety requirements. Bear in mind, the last date for entries is Monday 4th September.